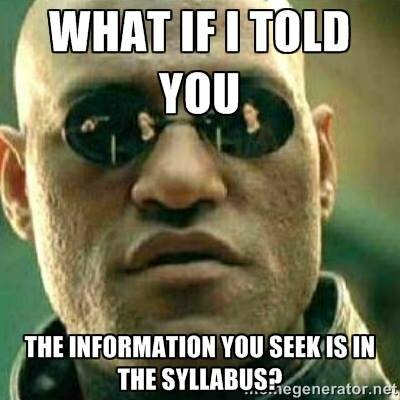 The Open Syllabus Project is a useful repository of course reading lists from almost every academic discipline. (Hey, we had the idea first!) A fun feature is the ability to browse by popularity, i.e., to see the most frequently assigned readings in a particular field. Of course, the sample consists of syllabi posted on public websites, so it may be biased toward particular kinds of courses or universities. Still, the findings are interesting. This article complains that The Communist Manifesto is near the top across all disciplines, but confusingly bounces back and forth between economics and other fields and doesn’t distinguish among textbooks, research monographs, and research articles. Pretty much all classics, and not surprising to see any on a reading list. But some surprising omissions. No Samuelson, Becker, Lucas, Krugman, Sargent, Kahneman, or Fama, just to mention a few Nobelists. No Shleifer, Tirole, Mankiw, Holmstrom, Simon, Jensen, Kreps, Alchian, Demsetz, and others with highly cited SSCI or RePEC papers. Of course, these are undergraduate as well as graduate syllabi, so highly technical articles assigned to PhD students are less likely to make the cut. Still, this might be a good “Books and Articles Every Economist Should Know” kind of list. US Defense Secretary Ash Carter is making the rounds with a speech about ISIL being a “cancer” that must be cured with aggressive treatment. “[L]ike all cancers, you can’t cure the disease just by cutting out the tumor. You have to eliminate it wherever it has spread, and stop it from coming back. . . . . [We have] three military objectives: One, destroy the ISIL parent tumor in Iraq and Syria by collapsing its two power centers in Mosul, Iraq and Raqqah, Syria. . . . Two, combat the emerging metastases of the ISIL tumor worldwide wherever it appears. . . .” Terrorism, in other words, is a cancer metastasizing from the underlying tumor of Islamic fundamentalism. This language may rally the troops, but it is particularly unhelpful in understanding the nature, antecedents, consequences, and remedy for terrorism. As Robert Pape, Alan Krueger, and other social scientists have shown, terrorism is a tactic, a form of purposeful human action, and should be understood as such, not as a mindless, undirected biological phenomenon. Edith Penrose warned more than sixty years ago about the limits of biological analogies in understanding social issues. “The chief danger of carrying sweeping analogies very far is that the problems they are designed to illuminate become framed in such a special way that significant matters are frequently inadvertently obscured. Biological analogies contribute little either to the theory of price or to the theory of growth and development of firms and in general tend to confuse the nature of the important issues.” I have written before about the problem of treating gun violence as a disease, rather than a legal, social, and criminological issue. To understand why people shoot guns, on purpose or accidentally, we need to focus on their preferences, beliefs, and actions. (This does not imply some kind of straw-man “rationality,” by the way.) Likewise, if we want to reduce terrorist acts, we should treat terrorism as a military tactic, designed to achieve specific ends, rather than a disease or epidemic whose “growth” we have to stop. Update (27 Jan): From David Levine I learn of another example of a medical researcher trying to address a social science problem without apparently understanding the concept of selection bias (he samples on the dependent variable). I was recently asked by a staffer of the UK House of Lords to contribute written testimony on an inquiry into “online platforms and the EU Digital Single Market.” They wanted to hear about the concept of dynamic competition, and they gave me a set of questions, which I answered in a rather abstract way. The testimony has now been published on Parliament’s website.